Scottscope: Scottscope Talk Radio 4/5/2014: The Rise Of The Winter Soldier! Scottscope Talk Radio 4/5/2014: The Rise Of The Winter Soldier! On this week’s edition of Scottscope Talk Radio, the roundtable reviews Captain America: The Winter Soldier! 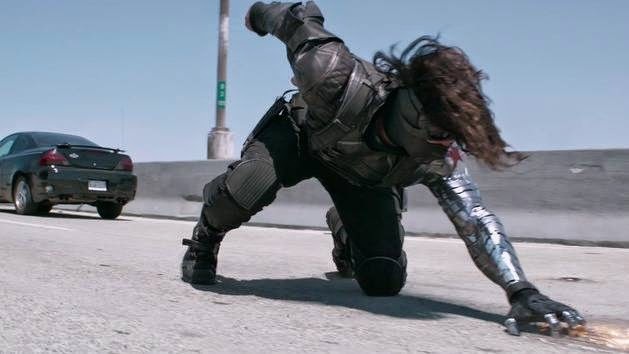 Just who is this mysterious character known as the “Winter Soldier”? What significance does he have to not only our hero, but the Marvel Cinematic Universe as whole? Will filmmaker’s Anthony and Joe Russo continue in the tradition established by Joe Johnston, or will they stake out new territory for Cap to conquer? Will the MCU ever manage to truly diversify its brand? Are all MCU films, and by extension, all superhero films exactly the same? Is it time for a change? Is Tony Stark/Iron Man still the most interesting and charismatic Avenger? Does Captain America: The Winter Soldier set a new watermark for the MCU? Is the hype justified? Join us as we ponder these and other mysteries of the MCU!